My Thanks to David Rawlins for adding two previously unreported green men to the gazetteer. 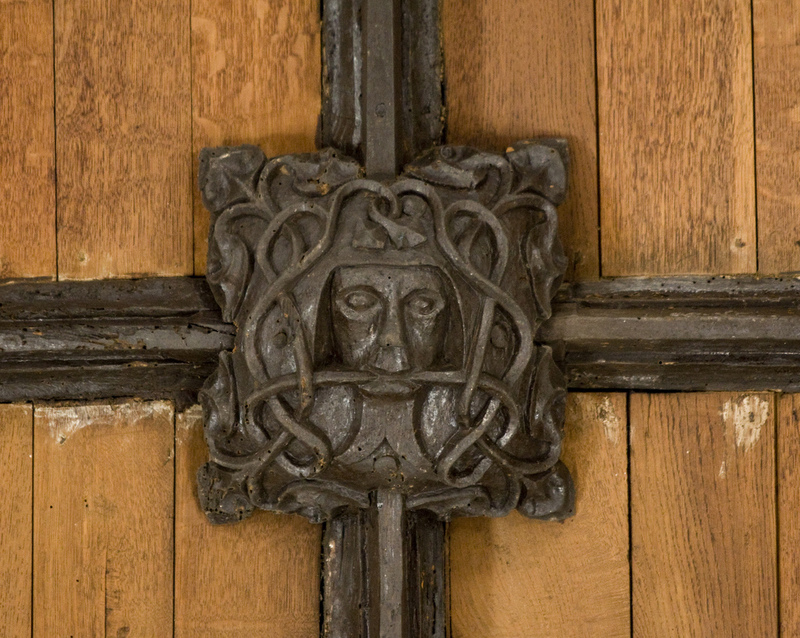 The Green Men are on misericords in the choir stalls of Holy Trinity Church, Chantry in Somerset (BA11 3LJ). Chantry Church was built in 1846 and designed by Gilbert Scott. 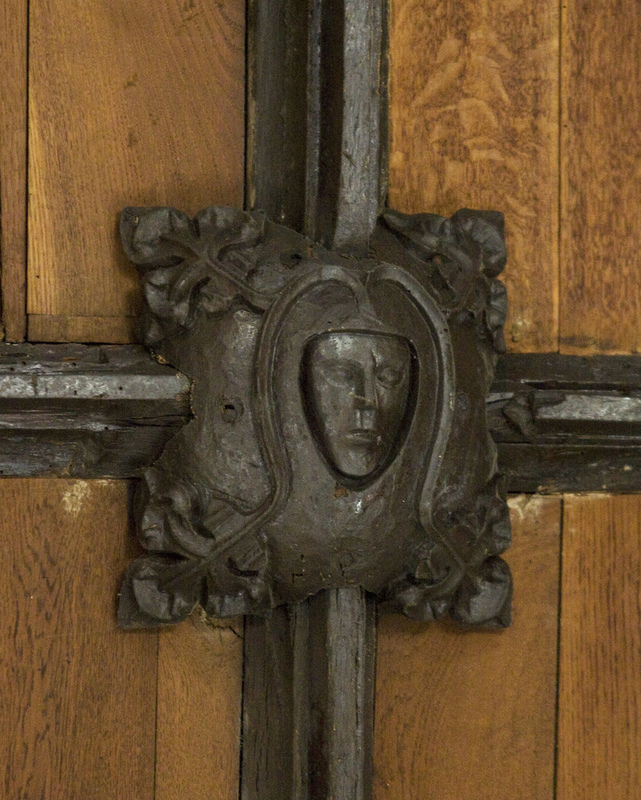 The carvings are of very high quality, as is all the work in the Church. 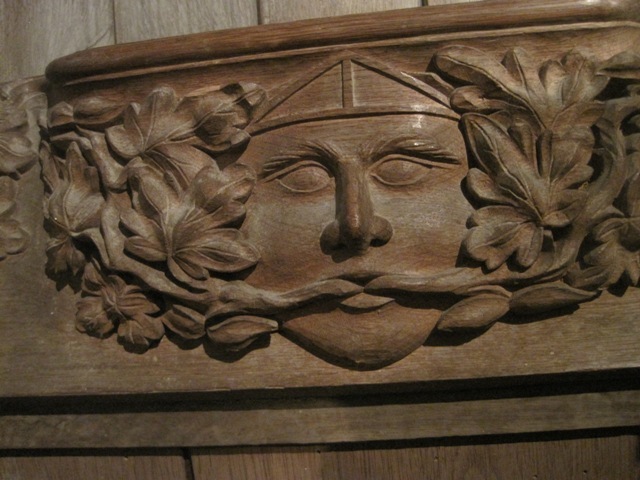 Holy Trinity Church has eight misericords all told. Any COTGM members thinking of attending the wassail in Brent Knoll (see post below) or who just fancy a day trip, should make sure that they get to the village with plenty of daylight to spare. Not only are the views from the top of the Iron Age hillfort stunning (Wales to the NW, the Mendip hills to the N and E, the Quantock hills to the S and Glastonbury Tor to the E) but St. Michael’s Church, in the heart of the village, is well worth a visit. Highlights include a gargoyle/hunkypunk on the tower with legs and a bare bottom hanging out of his maw, a rare plaster bust of local Civil War hero John Somerset and the famous medieval pew ends featuring greenmen. 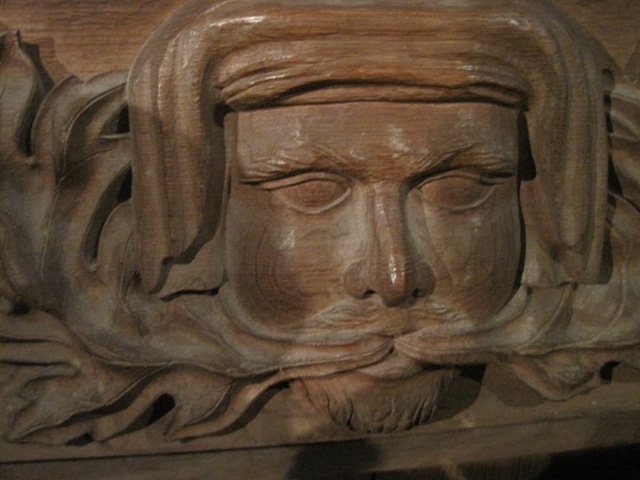 Three of the pew ends, topped with intricate greenmen, date to the late 15th century and form an allegorical cartoon. The first pew end depicts the figure of a fox dressed in the robes of an abbot preaching to a flock of birds, probably geese. Above the fox a chained ape holds a bag of money aloft. Below the abbot’s feet two monkeys roast a pig on a spit. In the second pew end, the fox has been placed in leg irons and is imprisoned in the stocks, while a monkey stands guard over him. In the third pew end the geese have hung the fox, while dogs bark triumphantly. So what’s all that about then? The fox is thought to represent an Abbot of Glastonbury who was taxing his tenants (the geese) particularly hard. The third pew end, then, is a revenge fantasy on the part of the parishioners. The reason the church could get away with such scandalous pew ends is because it was under the control of the Diocese of Bath and Wells, another powerful and influential landowner in Somerset and the Abbey’s only real rival. Another example of this one-up-manship can be seen in the village of Pilton where the grand Abbey owned tithe barn (recently restored by Michael Eavis) and the impressive Bath and Wells run parish church seem to scowl at each other across a narrow river valley.